Many Arlington residents may be surprised to learn that the National Policy Institute, a white nationalist group, has based itself in the area. WASHINGTON — This past weekend, a conference of white nationalists met at the Ronald Reagan Building in downtown D.C., just blocks away from the White House. They were brought together by the National Policy Institute, a think tank devoted to racial separation based in Arlington, Virginia. It’s listed as a hate group by the Southern Poverty Law Center. 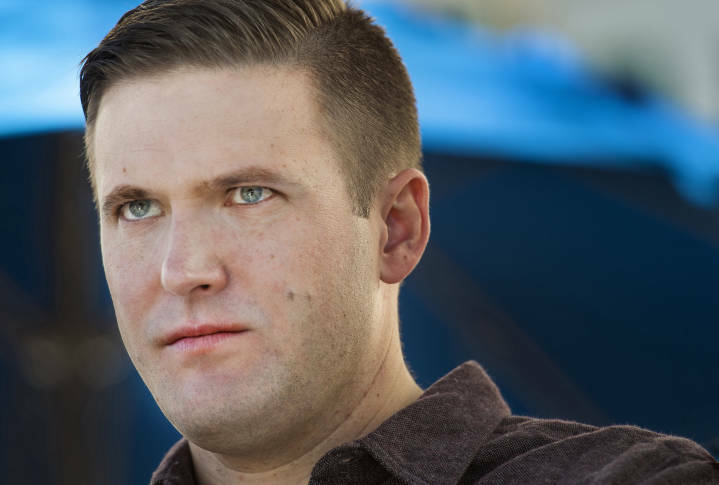 The institute’s president, Richard Spencer, is a leading figure in the alt-right movement and clearly espouses a separatist view. He described the group’s motivating goal: a nation of whites only, excluding minority groups. “It would be about a society that’s for us,” Spencer told WTOP, taking a break from the daylong conference. “Race is real — race matters. It has tremendous social consequences and race is the foundation of identity,” he said. Many Arlington residents may be surprised to learn that a white nationalist group has based itself in the area. But nearly 60 years ago, Arlington was once home to the American Nazi Party, founded by George Lincoln Rockwell. “We have no standing to tell people who can and can’t be here,” said Libby Garvey, chair of the five-member Arlington County Board. County board member Jay Fisette was unaware Spencer’s group called Arlington home before he burst onto the news. “It’s going to make some people definitely feel uncomfortable,” Fisette said, acknowledging that the group has a constitutional right to exist.